Here is Part Two of the interview with Sergiy Lavryk, Chief Project Manager at HTMLcut.com (Part One was Professional PSD to HTML conversion and other questions to Sergiy Lavryk). Sergiy explains why designers use markup coding services, how providers reduce overhead costs, when hand coding is really better, and what he thinks about the future of this market. Q.:...So, why do designers resort to PSD to HTML services? A.: If you are hungry and in a rush, you buy a hot dog, not cook it, right? There are a lot of people who can cook, more or less. Nonetheless, we often buy these and many other products and services. 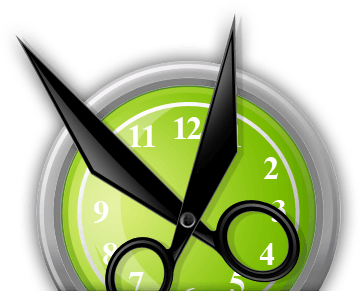 It's simply a natural division of labor that helps us to save some time, efforts and money. 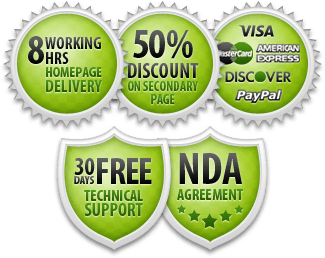 The same main reasons are behind PSD to HTML conversion services too. Q.: Some people doubt whether high quality services can be so inexpensive as it is offered by PSD to HTML companies. What can you answer them? A.: I don't know about other providers, so I'd rather tell about our own experience. Your statement may be true for those who code occasionally. But if it is a focused business with established production processes, good trained personnel, and optimized overhead costs, it is possible even in such a low-margin market as PSD to HTML conversion. When we started HTMLcut, the main goal was to build just such efficient customer-centered services. And we're glad that our clients like our work. And what about hand coding? Are the markups offered by PSD to HTML companies developed manually in truth? A.: Let's go step by step. If you are interested in hand coding, you imply that it is better than an automated conversion, true? So a few words about these two techniques will be suitable here. 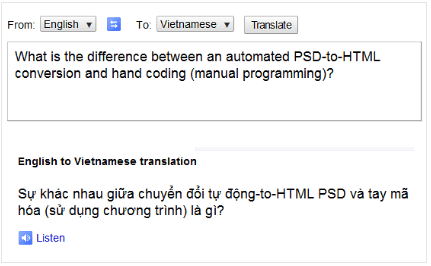 PSD to HTML conversion is very similar to translation from one language into another. 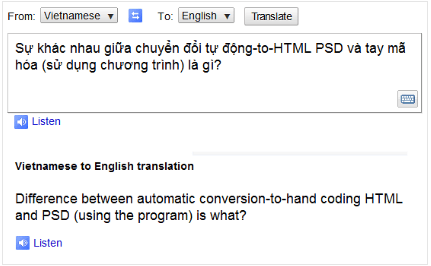 In its essence, when you convert a PSD mockup into HTML code, you translate from the designers' language into the developers' one. Recently I've stumbled upon the same example in the very interesting article by Alexander Dawson. Alexander and I came to this idea independently and in a little different context but I'm sure that other people have found something like this too - there is a lot of buzz now about the differences, advantages and shortcomings of an automated conversion and hand coding. Two pictures above obviously indicate that in spite of the progress in their development something is still wrong in the State of Automated tools, and human beings are still needed to get high quality conversion or translation. Firstly, it depends on the task and requirements. Automated tools are being constantly improved, there continually appear new applications and cloud services which make the process more effective and simple. So, in some cases automated conversion may be quite acceptable and sufficient. Secondly, hand coding is better only if it is qualified and organized. The first point is rather obvious: bugs generated manually are not better than their automatic counterparts. Frankly, hand coded defects are even worse because they are more unpredictable. The second amendment is a little more complicated. In one word it is all about coding style. A piece of HTML code functioning perfectly can be extremely difficult to read and understand, let alone to modify or update. A coder can use a naming convention that is excellent for him or her but very unusual for others. And so on, and so forth. How can a professional PSD to HTML provider avoid such problems? They should follow generally accepted coding, formatting and documenting rules, first of all provided by the W3C Consortium. On the practical level, it means that a PSD to HTML conversion company should have internal standards, procedures and templates, based on W3C recommendations, and compliance with them should be strictly controlled by the QA department and company's management. In other words, hand coding becomes better only in case it embodies and transfers best HTML CSS coding practices and standards. Q.: What do you think about the future of the markup coding market? A.: To some extent I've answered this question in the article HTML5 - The end of PSD to HTML services? I believe that HTML5 and CSS3 will only strengthen the need and demand for professional PSD to HTML conversion. On the other hand, the fast growth of this market is accompanied with not only positive but also some negative phenomena. For example, new players sometimes "borrow" content from the websites of their rivals or use another's articles for their own promotion after a slight rewriting. Unfortunately, this is a widespread practice on the Internet, but if we speak about business it can also indicate something more than just a plagiarism. A month ago, after another "borrowing" of our article (it was re-published by a company which has substituted some words by their synonyms and discarded some small paragraphs) I asked a question about this trend on Linkedin Answers. All the answers were very useful and insightful. Here is one of them, given by Richard Shipperbottom, an experienced business professional and owner of Applied Acumen Ltd: "What I find is that people who do business this way treat their customers with similar disdain and disrespect, tend to be very poor at doing what they claim to do, or at being what they claim to be, and eventually others see through their shallow, unimaginative and below standard products and services, and they are found out." Nonetheless, I hope that the PSD to HTML market will not only grow in the future but also become more mature and overcome growing pains - because professional services should be pros in all aspects. Q.: Thank you for your time and interesting answers!